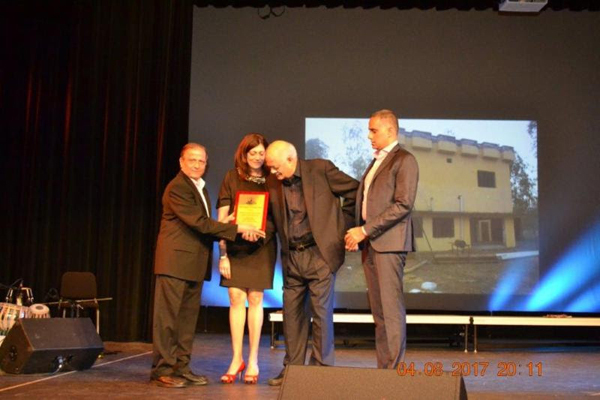 Ever since Sri Shah moved to US, since 1970, he has contributed 40 years in spreading awareness about the country around the world and working for the welfare of the Indian community. Deeply influenced by Vivekananda’s teachings, he fervently integrated himself with Ekal Movement. 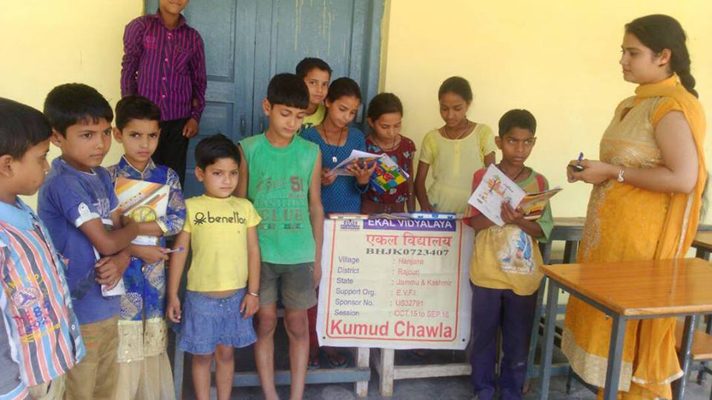 Sri Shah found the Ekal Vidyalaya Chain for those who have little access to education. Travelling across India, Europe and America, Mr.Shah created the awareness about the remote parts of India, including the tribal belts. 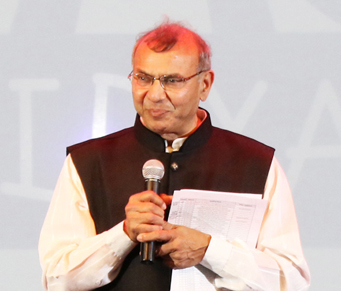 He was felicitated by the Indian Consulate for his contribution in empowering rural India. 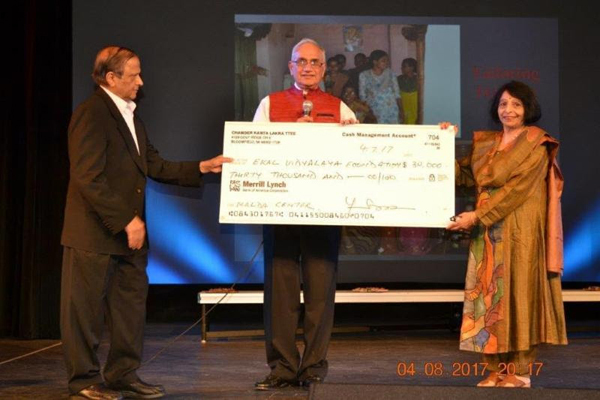 Dr. Yashpal Lakra and his wife Dr. Chander Lakra made a generous donation of $30,000 to support a Tailoring Training Center in Malda, West Bengal. 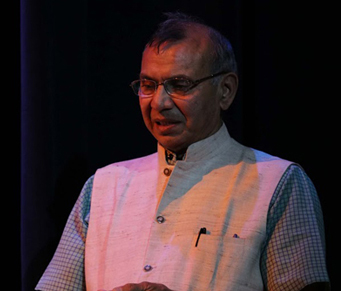 Another Detroit donor, Mr. Harish Verma made a donation of $30,000 in memory of his beloved wife. Women Empowerment is a key to bring about a holistic development of the villages and providing training has a huge impact on the lives of the women as it generates a decent monthly income. 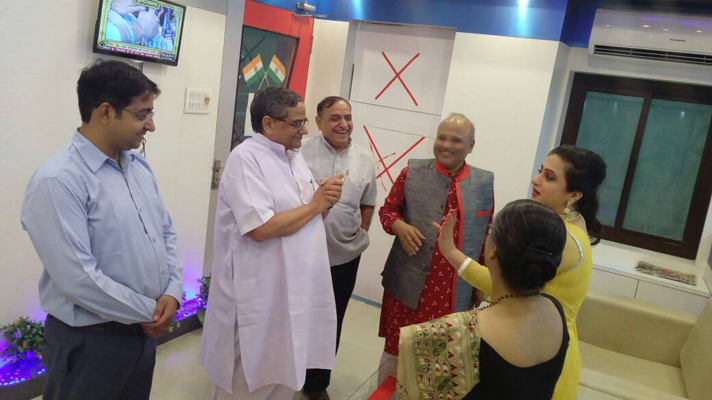 The feedback on Ekal talent show has been tremendous in its appreciation of Ekal Movement as a whole. The wide varieties of tribal arts and dramas eclipsed the usual Bollywood attraction seen across the globe. It only demonstrated the stark fact that given the right environment and opportunity the people from the remotest parts of India can also excel in their talents and contribute to enormous creativity. 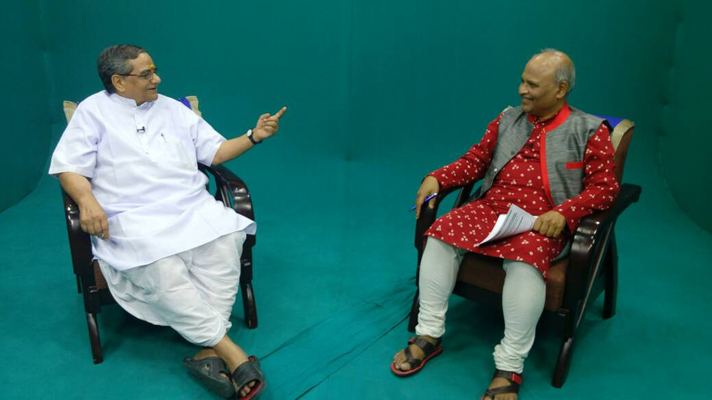 It was an assuring factor that the malice created by the discriminatory practices will be eventually wiped out once the Ekal movement is able to strike at the root of the society for a change and betterment of the nation in a big way. 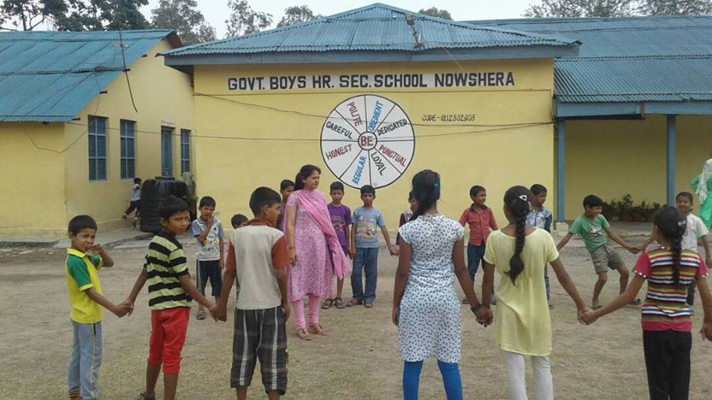 In the Rajouri area in Nowshera sector of Jammu & Kashmir, because of heavy firing on the borders, the area was evacuated and the residents were taken to a relief camp. Because of this all the schools have been closed and education of children have been affected. The government has made arrangements for their stay, but could not make arrangements for their studies. Ekal Abhiyan is fulfilling this work. 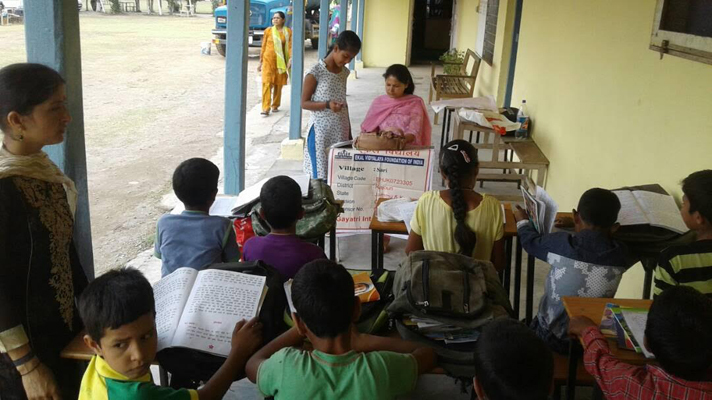 Three teachers of Ekal Vidyalaya are providing the much needed education to the children in this relief camp. 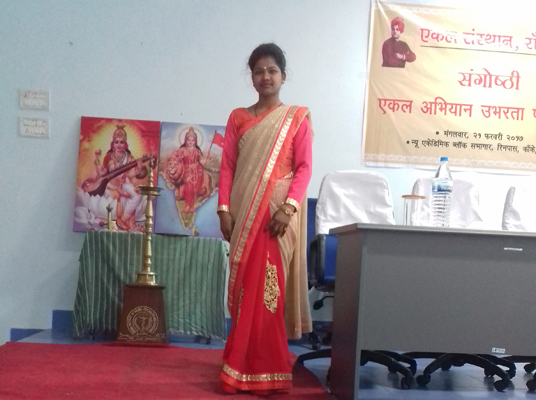 Sukshi Kalpana from Karyade Village, Jharkand, Ranchi had a fine tryst with the destiny traversing from Ekal to B.Tech (Electronics and Telecommunication). Hailing from a poor background (with a disabled father and vegetable selling mother), she studied in Ekal Vidyalaya for five years after which she joined a Senior School, to finish her school studies. In doing so, she had to engage herself as a labourer in a road construction company to pay her school fees. The principal of the school, on seeing her plight, cancelled her fee, and allowed her to continue in the school. In 2010 she was a topper in her school and a third topper in the Silli Assembly constituency. Help came trickling to her side, with branded names like Amul and she did her polytechnic in Electronics and Communication Engineering, worked in Samsung mobile service centre, Vistapur, Jamshedpur between August 2014 and December 2015. Aided by this earning she is now studying B.Tech in Electronics and Telecommunication. 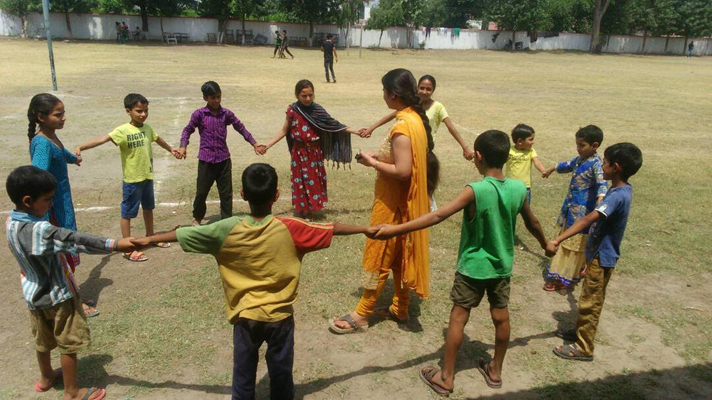 She now thanks Ekal Vidyalaya which has motivated her, despite her insurmountable hurdles owing to her appallingly poor economic and social background. 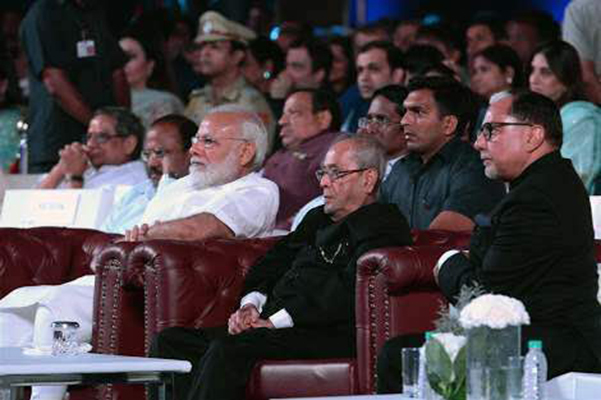 On 14th May 2017, the honourable Prime Minister and President of India graced the 90th year celebration of Essel/Zee. Modiji had urged Ekal to reach a lakh villages by 2022. The real challenge is to raise fund for 1 lakh schools year after year and finding out adequate volunteers to spearhead the movement. Few years back, Rukmani Prajapathi got an internship in cutting and stitching in Ekal Abhiyan’s Bisra Seva Sansthaan – Karanjo, West Singhbhum, Jharkhand. She is now completely trained in cutting and stitching and this has now become a source of income for her. With the help of Ekal Abhiyan, she has set an example of how ladies from rural villages can live a happy life without going to cities. 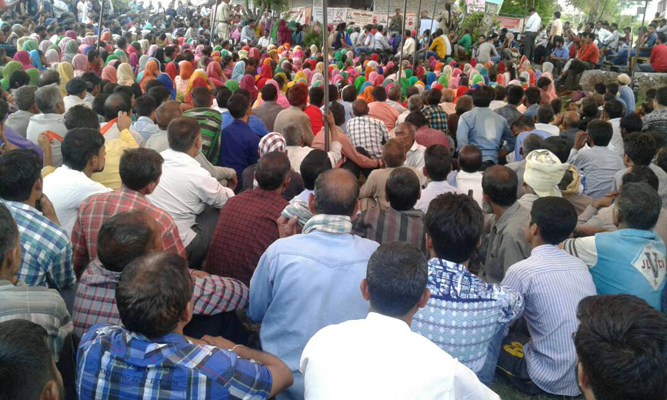 After an awareness campaign by Samiti, Karyakarta, and Acharya members from various villages for fifteen days, a mass movement of 5000 people participated under Ekal Abhiyan on 11th May 2017 and subsequent to that, the district Officer closed the Bar and Liquor Contract at Panchari. This is indeed the success of people’s movement against a social evil. 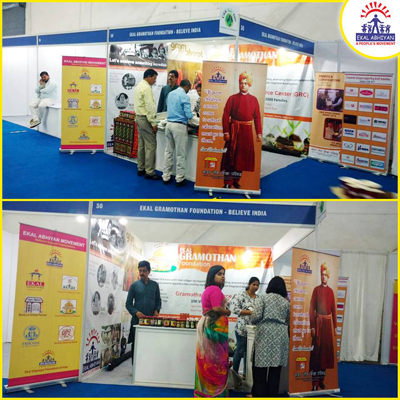 Department of Public Enterprises, Ministry of Heavy Industries and Public Enterprises, Government of India, in collaboration with PHD Chamber and ONGC has organized a mega CSR Fair and Thematic Conferences between 4th and 6th May, 2017 at Pragati Maidan, New Delhi. 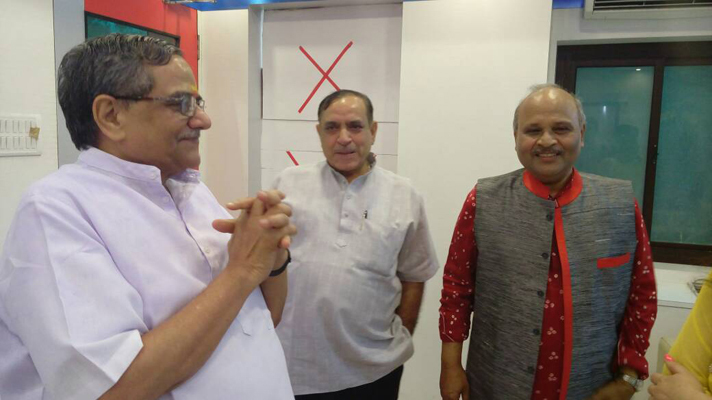 Ekal Abhiyan showcased its key interventions in the CSR Fair. It also provided Ekal a great platform to portray its CSR activities to all stakeholders, including Central Ministries/Departments, CPSEs/State PSUs, Private Companies, NGOs/Foundations. Training of Arogya Sevikas was organized in Pichhore Sanch of Madhya Pradesh. 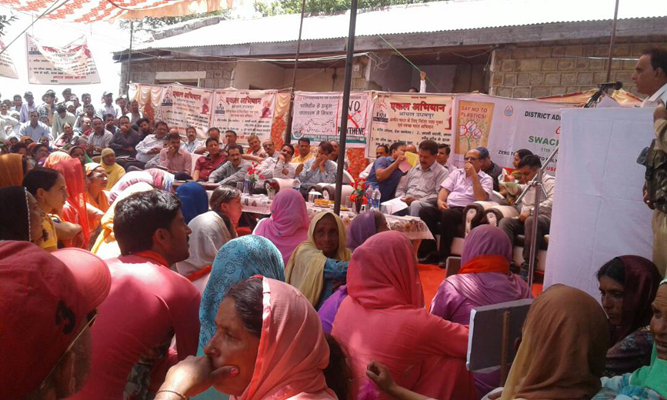 It was attended by 40 Arogya Sevikas, 22 from Pichhore & 18 from Dabra Sanch. It was a three day training in which Dr. Sarita Mittal provided training on hygiene and sanitation, welfare of antenatal women, Malaria, Nutrition & Menstrual hygiene. She also covered the do’s and dont’s of Arogya Sevika to deliver such result in field. 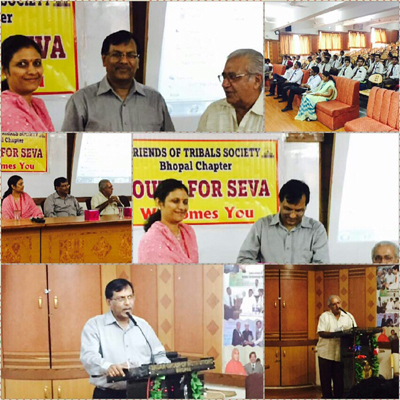 Duties of Arogya Sevika, Arogya Yojana, Health camps and Poster demonstration was also explained by Dr. Harish Anand. Monika Barwal (Arogya Coordinator) spoke on home remedies project and monitoring of the project. 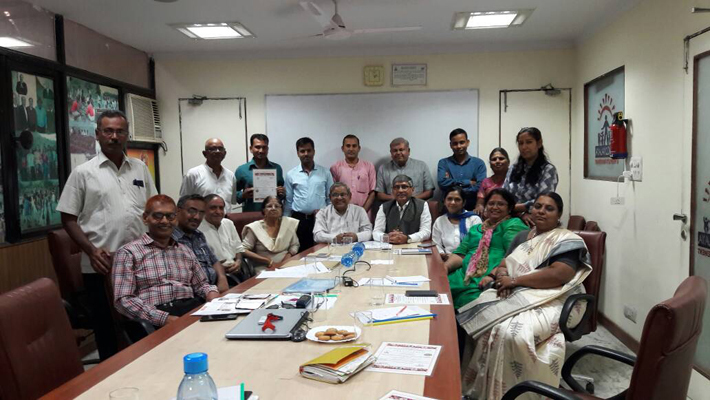 On 5th and 6th May 2017, a meeting of National Executives & Coordination Committee of Arogya Foundation of India held in Okhla office of AFI. All the state coordinators of Arogya received certificate as Master trainers of Home remedies from Sri Bajrang Bagra - President, Ekal Abhiyan and Sri Avineesh Matta - Executive President, Arogya Foundation. They had undergone the training at Coimbatore in February. 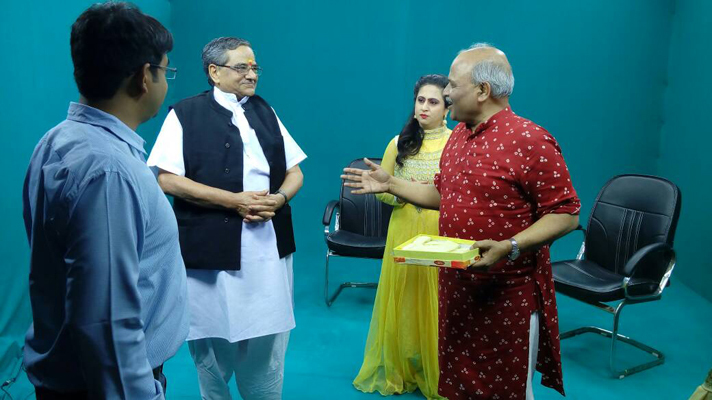 Soon there would a half hour weekly Ekal Special on Sarthi TV. As of now, this channel is available in Airtel platform only, soon it would be available in other platforms too. It would also be available in their website and Youtube. More impacting stories from the field has to reach people through this plaform as this is a great opportunity and responsibility for Ekal.